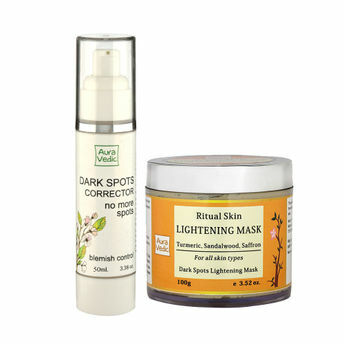 A must have lightening mask with natural Ayurvedic ingredients for healthy ,glowing and even toned skin. This packed with goodness, mega-lightening mask loaded with sandal , turmeric and saffron to even skin tone and restores translucency. Boost resilience and radiance and address the key cause of discoloration with this luxuriously rich, leave-on mask. Leaves skin radiant, refreshed, and bright. 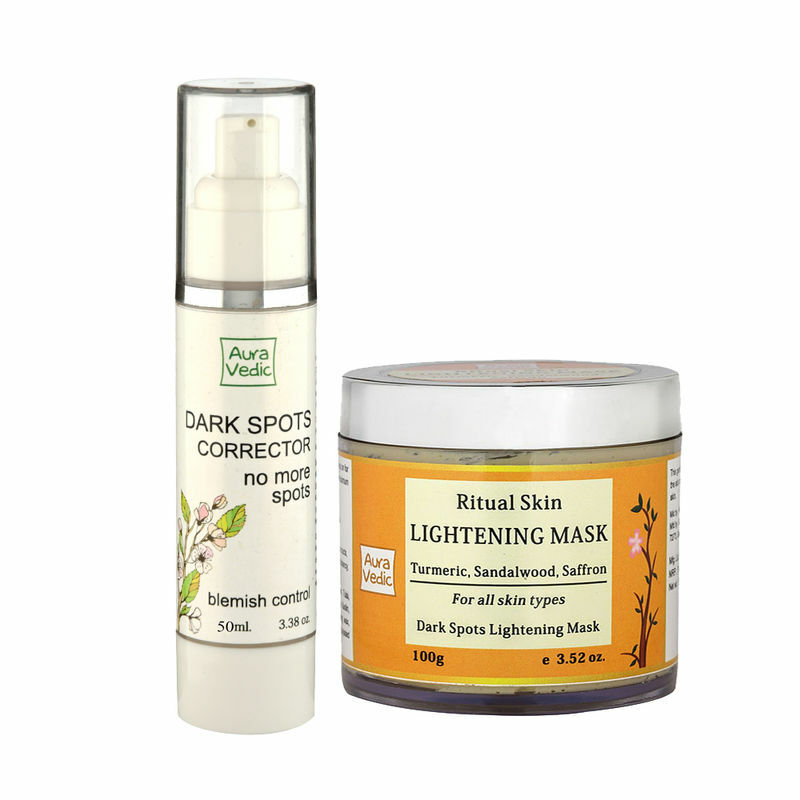 This Skin lightening mask is loaded with ingredients like Sandal, Turmeric and Saffron that help reduce the appearance of dark spots, pigmentation and uneven skin tone. It contains proven Ayurvedic natural ingredients for unmatched power to lighten and brighten skin tone, minimize the appearance of pores, and diminish the look of dark spots, age spots, and hyper-pigmentation. The rich, creamy, hydrating formula is suitable for even sensitive skin as it helps reduce inflammation without drying it out. It brightens, refines, and improves the glow and radiance over time.